Chief Engineers required for Bulk carrier fleet. We offer long term employment with 4 months on/ 2 months off and attractive remuneration in USD. All ships were built between 2010-2013; - mixed crew on-board; - world-wide trading; - full engine team (C/E; 2/E; 3/E; 4/E; ETO; ratings). Previous experience on bulk vessels and cranes required. Minimum 12 months experience in rank on similar type of vessels. Age limit of 55 years. 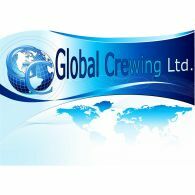 if of interest, please send us your CV on our email- office@globalcrewing.eu.